Wood’s pioneering history, published here for the first time, offers valuable insights into the pivotal role that the Royal Canadian Air Force played in the opening of the Canadian North from the 1920s to the late 1940s. 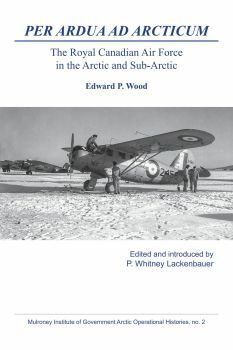 Filled with interesting first‐person accounts of Arctic operations and rich descriptions of Arctic landscapes, Per Ardua Ad Arcticum is a valuable resource for scholars, military personnel, aviation enthusiasts, and general readers who want to learn more about the early history of the RCAF and aviation in the Canadian North. P. Whitney Lackenbauer, Ph.D., is a professor in the department of history and co-director of the Centre on Foreign Policy and Federalism at St. Jerome’s University (University of Waterloo), Waterloo, Ontario. 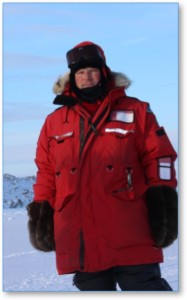 He is the Honorary Lieutenant Colonel of 1st Canadian Ranger Patrol Group (1CRPG) based in Yellowknife. His recent books include Two Years Below the Horn: A Canadian’s Experiences in Antarctica, 1944-46 (co-edited 2017); Canadian Armed Forces Arctic Operations, 1945-2015: Historical and Contemporary Lessons Learned (co-edited 2017); Vigilans: 1st Canadian Ranger Patrol Group (2015); Le Canada et l’Arctique (co-authored 2015); and The Canadian Rangers: A Living History (2013). His forthcoming books include histories of the Joint Arctic Weather Stations and the Distant Early Warning (DEW) Line.